Leaders at a global event for trade and investment promotion organizations underline the need to manage the rise of digitalization to connect more businesses to markets, foster inclusive trade. (Geneva/Marrakech) – The slowdown of trade and the rise of e-commerce are two contrasting trends that are shaping the future of trade and investment, particularly in Africa. That’s according to global leaders gathered at the Trade Promotion Organization (TPO) Network World Conference and Awards 2016 in Marrakech, Morocco, on 24-25 November. ‘Slow economic growth, unequal distribution of the benefits of trade and policies that have gradually removed safety nets created the anti-globalization movements of today,’ said Mukhisa Kituyi, Secretary-General of the United Nations Conference on Trade and Development (UNCTAD). 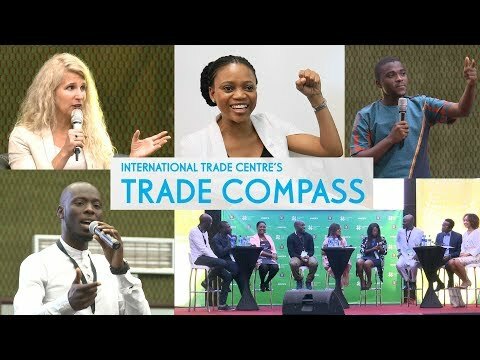 The role of trade and investment promotion organizations is evolving with the increasing use of digital tools, particularly in Africa, where the increasing use of mobile phones makes it easier for businesses to communicate and sell. ‘We’re moving more towards creating a network to link demands to offers instead of serving as a consulting force,’ said Daniel Kung, Swiss Global Enterprise. Organizations are increasingly using social media platforms to engage with clients and communities, to advertise and to directly conduct business, in a general trend towards using innovative initiatives to better serve businesses. ‘We need to balance our service delivery channels between bricks and clicks,’ he added, referring to the shift from physical stores to online platforms. This biennial conference – hosted this year by Maroc Export under the high patronage of His Majesty King Mohammed VI of Morocco in partnership with the International Trade Centre (ITC) – is an opportunity for these organizations to forge new partnerships with other similar organizations in their regions and beyond. ITC signed a memorandum of understanding with the Iranian Ministry of Industry, Mine and Trade, as well as a letter of intent with the Turkish Exporters Assembly to work with their national trade and investment promotion organizations to help small and medium-sized enterprises (SMEs) reach new markets. Also during the event, eight countries launched a regional network of trade and investment promotion organizations, called the Arab Countries Trade and Investment Organizations Network (ACTION). The West African Economic and Monetary Union (UEMOA) states also took steps towards establishing a regional network, in collaboration with ITC. ITC agreed to establish an online knowledge-sharing platform to help trade and investment promotion organizations network and share experiences. Additional work will be undertaken to research the economic and social impact of trade and investment promotion. The conference also served to award organizations for their excellence in innovation. Madagascar, Costa Rica and France received top prizes for their innovative ways of equipping SMEs with the skills, knowledge and networks to do more business. ITC also shared innovative programmes to help trade and investment promotion organizations better serve their clients, including the Export Potential Map, which reveals existing sectors with strong potential, and new sectors with opportunities for diversification. In response to organizations’ requests for advice on meeting standards for trade, ITC presented a new publication called the SME Competitiveness Outlook, which features 35 country profiles, an analysis of regional trends as well as action plans to help SMEs take advantage of opportunities and better deal with challenges. The ITC SheTrades initiative, aimed at connecting 1 million women entrepreneurs to global markets by 2020, brought the focus on the need for businesses to promote inclusive and sustainable development. In line with these realities, Ms. González announced that starting with the 2018 edition of the event, the name will become the World Investment and Trade Connect (WITC). Members of the network have selected Paris (France) as the next host of WITC. About the International Trade Centre: ITC is the joint agency of the World Trade Organization and the United Nations. ITC assists small and medium-sized enterprises in developing and transition economies to become more competitive in global markets, thereby contributing to sustainable economic development within the frameworks of the Aid-for-Trade agenda and the Global Goals for Sustainable Development.